Surfing is the ideal sport to share with the family. Summer is the best time to enjoy a few days of vacation with your loved ones in a calm environment. 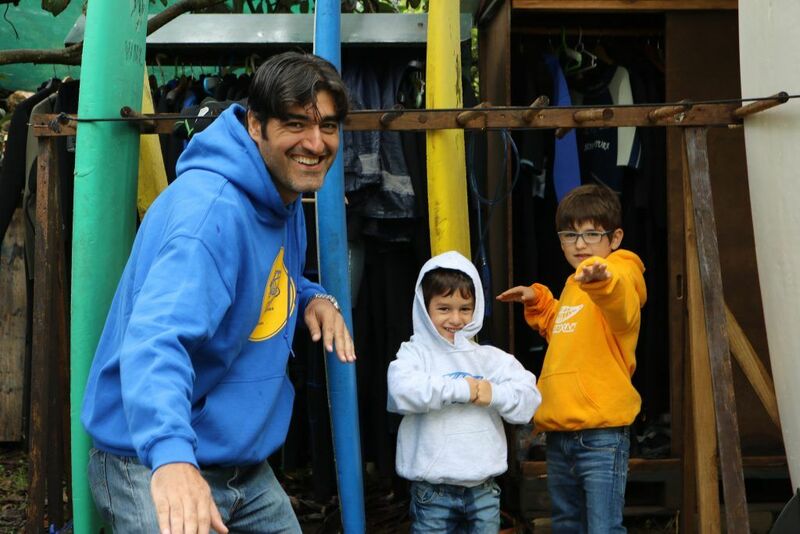 Biosurfcamp offers a surf camp for families in unique facilities, a place where you can relax and enjoy your passion for surfing. 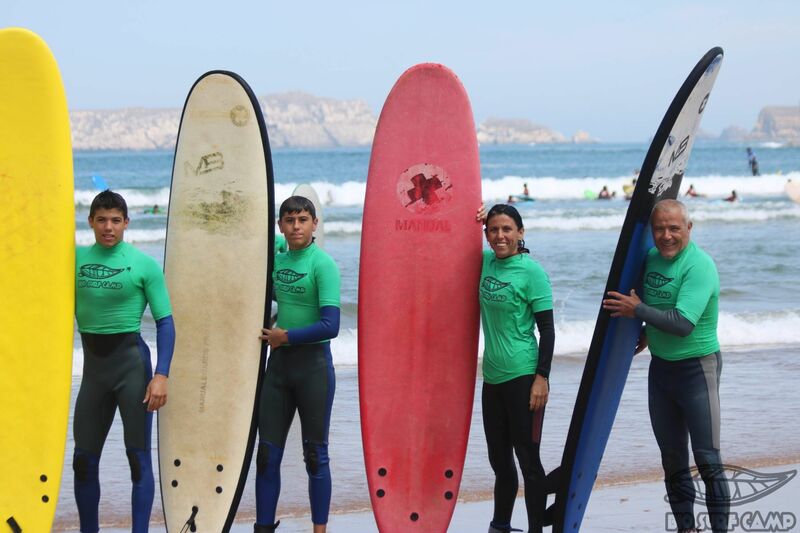 Our family surf lessons are designed for all audiences, since groups are organized depending on the level of the surfers. The beaches of Suances offer the possibility to surf in areas with more affordable waves for the levels of initiation and others for the improvement of the technique and for more advanced levels. 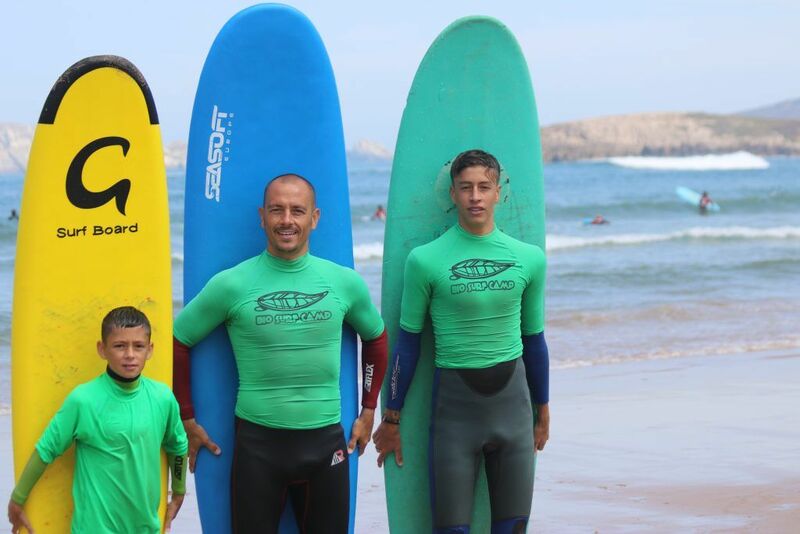 A unique family experience is sharing a passion and surfing is a passion! Older and younger can share the practice of surfing together on the beach with sessions of 2’5 hours a day. High Season: 16th July to 31th August. Medium Season: 1st to 15th July, 1st to 15th September and Easter. Children under 4 years old do not pay. Two and a half hour courses with all the material and insurance. The course time includes the displacements, the practice of the technique in the sand, the heating and the practice in the water..
Accommodation in a natural environment: our surfcamp. We have Bungalows for up to 4 people and deluxe shops. In addition, the accommodation includes the use of our dry sauna, our common spaces (yoga area, gazebos, chill-out terrace ...) and luggage services. 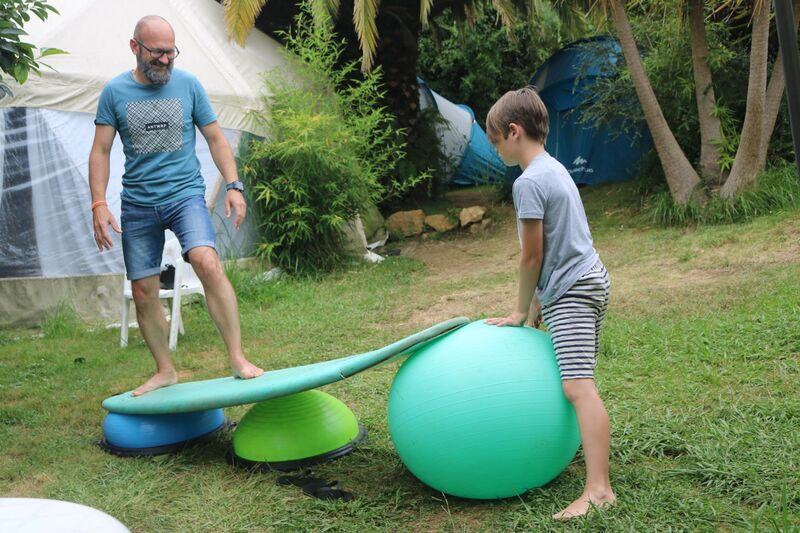 We also provide bikes for excursions, barbecue and various games such as slack-line, longskates, indoboards, bosus, juggling, shovels, board games, etc. Qualified and experienced surf monitors. Loan service for material outside the workshop with the surf + accommodation package. Discounts on other activities that we organize in the months of July and August. 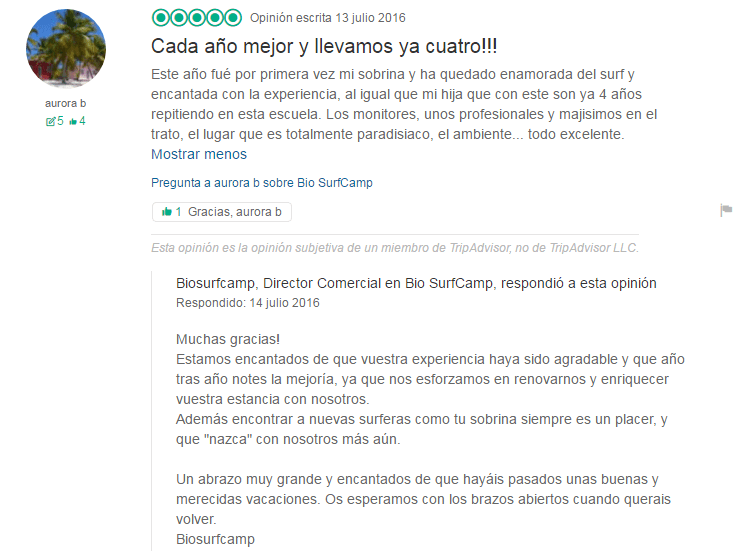 If you plan a surfer vacation with your family, Biosurfcamp is a great choice. 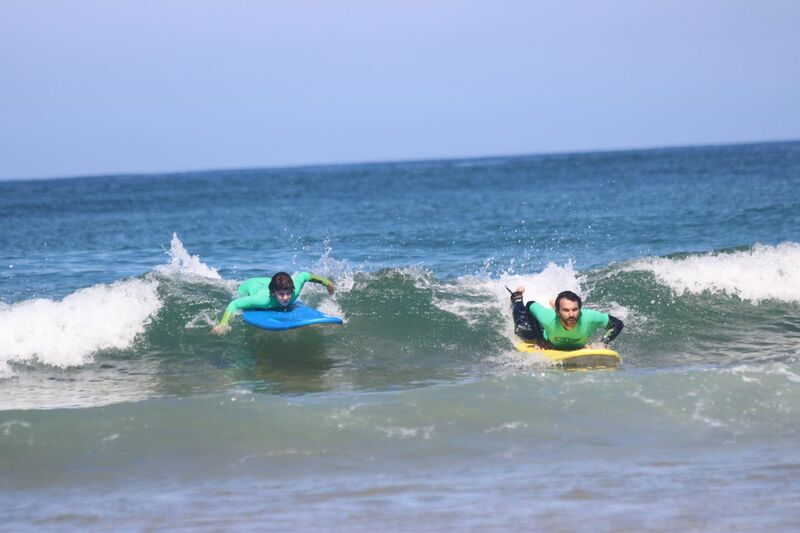 We offer more than daily surfing and accommodation courses. We organize an authentic surf camp for families, a unique integral experience for your next vacation with children or teenagers. 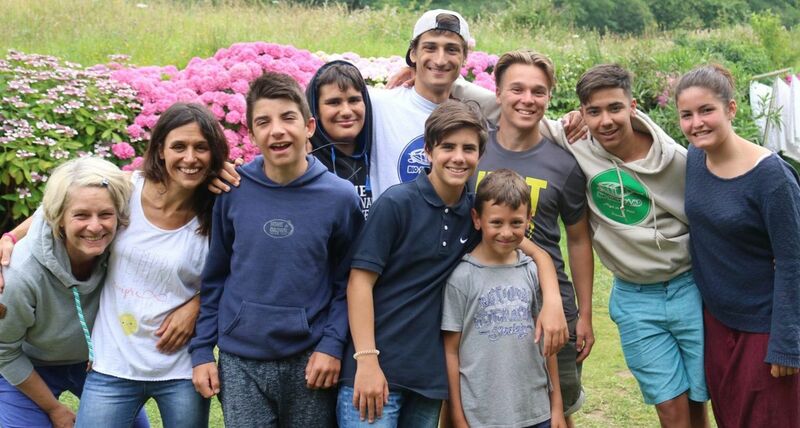 Our surfcamp is located in the town of Suances, a very central place that will allow you to visit places such as Santillana del Mar, Comillas, Santander, the nature park of Cabácerno, the caves of Altamira or the Soplao. All these options are family plans in Cantabria that are less than 30 minutes from our facilities. Also, Suances has several of the best restaurants in Cantabria, with typical food and high quality at very affordable prices. 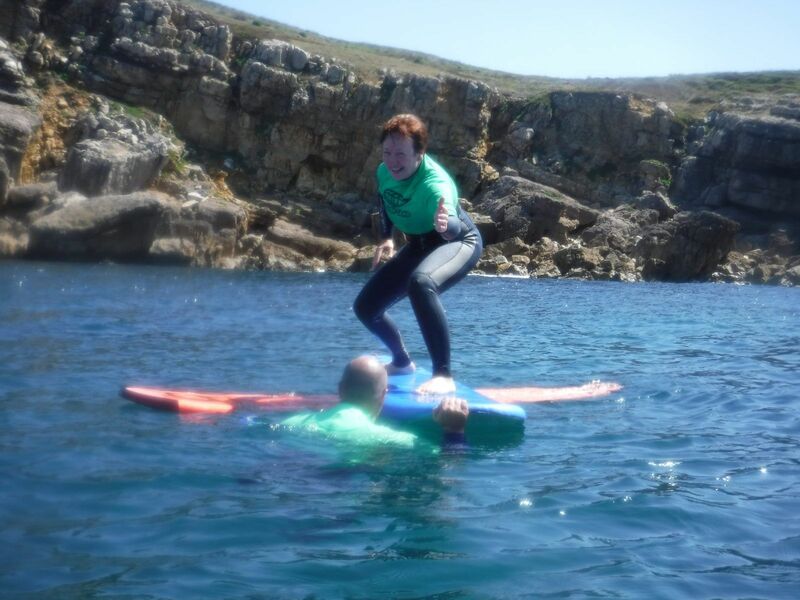 If you are looking for an active beach holiday with your children wetting an unforgettable experience to share, Biosurfcamp is your best option. Also, if you want to continue surfing after our classes, all the material is completely free to perform this sport on your own.